The use of Artificial Intelligence (‘AI’) and relying on algorithms to determine what children are at risk of harm have been in the news of late. The word ‘algorithm’ is an old word; imported into English from the name of a ninth century mathematician called al-Khwarizmi. Originally it meant simply what is now called the ‘Arabic’ system of numbers (as opposed to Roman numerals’) but later it took on a more particular meaning and is now defined as ‘a process or set of rules to be followed in calculations or other problem-solving operations, especially by a computer’. It’s the great fashion in recent years that everyone gets into AI, which usually means either they have something that automates a system, or it is a pattern recognition tool that pulls conclusions out of big data fed to a network, which acts on the conclusion….There is an obsession with big data, which always has to be cleaned up by low paid humans in places like India to be useable in a pattern recognition system. These pattern recognition systems such as neural networks operate according to hundreds and thousands of data points, building up through statistics a model upon which conclusions and decisions are made. These models and processes are so complex that not even the designers know how they come to their conclusions, what is called a black box situation. A positive case is made for better and more efficient identification of children who are most at need as early as possible. In the context of austerity and reduced spending on services such early identification is necessary in order to prevent harm to children’s development. Early identification could also help children avoid more intensive and intrusive child protection services – the end result of which may be removal from their families. There is also a view that decisions about child protection can be too subjective – it can only be a good thing to have some more ‘objective science’ about such important and often life changing decisions. But there are many who have voiced serious concerns about the efficacy and assumed benign consequences of using artificial intelligence to determine if children are at risk. Discussions about child protection have long centred on the debate about what is better – removing children quickly from risk or trying to support families manage better? This discussion has gradually enlarged to consider how we can best identify families which are most at risk and make sure that increasingly scarce services are targeted effectively. A ‘predictive analytics algorithm’ is basically a sophisticated kind of pattern recognition, commonly used in credit reports and automated buying and selling in financial markets. Its application to decisions about risk in child protection services is not a ‘new thing’ but its applications to date have been fairly limited. The social scientists, Emily Putnam-Hornstein, of the University of Southern California, and Rhema Vaithianathan, of Auckland University of Technology in New Zealand were asked to help investigate how predictive analytics could improve the handling of maltreatment allegations in the USA. Allegheny County in the southwest of the U.S. state of Pennsylvania (with a population of 1,225,365 in 2016) experienced a tragic series of children dying after being ‘screened out’ as low risk by human call handlers dealing with telephone referrals about children who the caller worried were being mistreated. In 2016 Allegheny County became the first jurisdiction anywhere in the world to attempt to use a ‘predictive-analytics algorithm’ to try and do a better job of identifying families most in need of intervention. 76,964 allegations of maltreatment made between April 2010 and April 2014 were used as the basis of the algorithm. In December, 16 months after the Allegheny Family Screening Tool was first used, Cherna’s team shared preliminary data with me on how the predictive-analytics program was affecting screening decisions. So far, they had found that black and white families were being treated more consistently, based on their risk scores, than they were before the program’s introduction. And the percentage of low-risk cases being recommended for investigation had dropped — from nearly half, in the years before the program began, to around one-third. That meant caseworkers were spending less time investigating well-functioning families, who in turn were not being hassled by an intrusive government agency. At the same time, high-risk calls were being screened in more often. Not by much — just a few percentage points. But in the world of child welfare, that represented progress. However It is important to note that the algorithm used in Allegheny County was to help to decide who got a home visit – NOT to make far more intrusive decisions about removing a child. Unconstrained machine learning enables and delimits our knowledge of the world in particular ways: the abstractions and operations of machine learning produce a “view from above” whose consequences for both ethics and legality parallel the dilemmas of drone warfare. The family of machine learning methods is not somehow inherently bad or dangerous, nor does implementing them signal any intent to cause harm. Nevertheless, the machine learning assemblage produces a targeting gaze whose algorithms obfuscate the legality of its judgments, and whose iterations threaten to create both specific injustices and broader states of exception. Given the urgent need to provide some kind of balance before machine learning becomes embedded everywhere, this article proposes people’s councils as a way to contest machinic judgments and reassert openness and discourse. That’s a chief objection lodged against two Florida companies: Eckerd Connects, a nonprofit, and its for-profit partner, MindShare Technology. Their predictive-analytics package, called Rapid Safety Feedback, is now being used, the companies say, by child-welfare agencies in Connecticut, Louisiana, Maine, Oklahoma and Tennessee. Early last month, the Illinois Department of Children and Family Services announced that it would stop using the program, for which it had already been billed $366,000 — in part because Eckerd and MindShare refused to reveal details about what goes into their formula, even after the deaths of children whose cases had not been flagged as high risk. interests and, by extension, those of Hackney in developing the project. It is not simply concerns about where the money goes. There are serious worries about how data is collected and analysed and what the repercussions could be in taking predictive analytics into fields far beyond simply call screening. The story of Indiana’s welfare reform contains all the key elements of an automation bogeyman: an explicit aim to reduce costs and move people off benefits; a whiff of dodginess about the award process for a $1.3 billion contract to privatise a state service; widespread tech failure upon implementation; the inability to effectively hold the corporate contractor to account for this failure; the removal of human connections; and pressure on community services such as food banks to deal with the consequences. They identify a number of concerns. Some are easy for me to understand. For example, how is consent obtained to use people’s data to inform these systems? There are serious worries about the actual accuracy of such tools and the risks of false positives are high – one tool developed in New Zealand was just 25% accurate at the top decile of risk over five years – meaning there were no findings of actual harm for 75% of those identified by the tool as high risk. The source and quality of the predictive variables, the quality of data linkage, the type of statistical methods used, the outcome the algorithm is trained on and the accuracy of the algorithm all require examination. I think this translates to the famous phrase ‘Garbage In: Garbage out’ i.e. systems that manipulate data to produce likely outcomes, are only as good as the data they are fed. What happens if someone makes a false allegation about you? Is that ‘data’ that will be recorded to inform your future risk? How do you know what ‘data’ is stored about you and how do you challenge it? Our own research into child protection notes a weak evidence base for interventions, with social workers falling back on crude assumptions. Stereotypes discriminate against some families and lead to the overlooking of risk in other cases, yet may become entrenched and legitimised when incorporated into technology. Research is needed into whether these technologies enhance decision-making or whether they become uncritically relied on by pressured professionals with burgeoning caseloads. Enticed by software-driven solutions, our overstretched and decentralised child-protection system may lack the capacity for a robust ethical and evidence-based reflection on these technologies. If the reader has coded anything, they will learn that bad code and inputs result in bad outputs. For example, if I dumped into an AI system voting intentions of a large sample of voters in Clacton UK, and used this to predict how the UK will vote in an overall general election, it might suggest UKIP would form the next government, but when the prediction is tested in real life, UKIP will if they are lucky only have control of the Clacton seat in Parliament. In a rising number of cases it has been discovered that the models built on big data are faulty, biased against certain groups, and are unable to handle unique situations. People are forced to conform to a narrow set of categories to access services or be on the good side of a statistical artificial computer model that has no relation to reality. 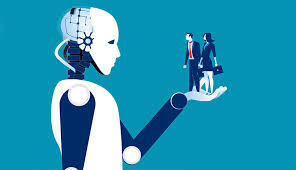 It is a tragedy that for reasons of money, faith in a flawed technology, and a lack of trust of the wisdom and knowledge of human beings with decades of experience in their fields, the AI has replaced the human with tragic consequences for individuals and society. Families wrongly suffer their children being taken into care, or being imprisoned because the computer judged according to its model this was the right outcome, and nobody can challenge the system data model, because nobody understands how it came to the conclusion. Even from my brief investigation and reading, there are clearly a number of issues of serious ethical and practical concerns that make it worrying that use of AI to identify children at risk appears to be something that is being enthusiastically touted by senior figures in the social work profession. I was glad to see Professor Lauren Devine of the University of the West of England tweeting today (September 24th) that she is concerned about the use of AI and will commence research funded by the Economic and Research Council in 2019 into the ‘risk of risk’. I will be very interested in her findings. Why are cash-strapped councils wasting money on predictive software telling us what we already know? It’s not rocket science. Poverty, addictions, poor health, school exclusions etc, have always been predictors of potential difficulties for children. They should be spending what little money there is on preventive services, Sure Start nurseries, youth clubs and teaching assistants. Sophie Ayres emphasised the issue of legality of sharing information to feed the algorithm without the consent of the data subject: ‘how does a Children Services team have the right to information such as school attendance. Usually at the start of a social work assessment – consent forms are signed by parents to say sw can contact other agencies. If parents to not consent at CIN stage – SW cannot seek info’. Lack of accountability concerned Professor Devine: ‘also the content of their algorithm? These things are cheap to put together, unaccountable and sold for huge profit’. 21 Fairness Definitions and their politics 1st March 2018 Arvind Narayanan. Computer scientists and statisticians have devised numerous mathematical criteria to define what it means for a classifier or a model to be fair. The proliferation of these definitions represents an attempt to make technical sense of the complex, shifting social understanding of fairness. Government, Big Data and Child Protection 20th September 2018 Researching Reform. Documents relating to the Children’s Safeguarding Profiling System – Freedom of Information request made to Hackney – request refused as damaging to commercial interests. This entry was posted in Other thoughts and tagged Artificial Intelligence, Hackney on September 24, 2018 by Sarah Phillimore. For any one interested , we touched on the use of computers,algorithms and the use of predications based on data on the CPR earlier this year and these were my thoughts put briefly then. If we test the ethics of data analytics for use as a means of predicating the future difficulties of troubled families with the aim of making a risk assessment and supplying support to a family in order to lessen the risk of significant harm to a child then I don’t suppose too many citizens would object. After all, everything might be significant, i suppose, for example if it can be established that a parent shops at Harrods rather than the Co-op or the local convenience store or that a family is politically correct and cuts down on junk food , it may mean a child is in less danger. If families eat fish and chips ,pizza etc. every day and eats between meals or purchases the wrong type of baked beans ,does not buy clothes from top shop or wherever ,it may be a bad sign. But predication, guesswork and data such as that must never be used in a factual matrix for use in our Family Court system. Ethically it would not be all that different than what we have already though, would it? Currently, the Court is supplied with a matrix based largely on predication and other data disguised as facts . Data actually means facts literally, as it happens, but computer input is not genuine fact although it is looked upon as a data-base. Wrongly, many SW’s rely on these data-bases as some sort of oracle and use the notes therein as an EVIDENCE BASE for a factual matrix without making any further in-depth investigations in order to vouch for the information and intelligence they glean from it. The evidence is not factual . With the right aims and computer programme, in theory we could do away with the Courts and judicial discretion ,saving a mountain of expense ,if we just entered the informational matrix into a computer and relied on robotics to analyse every case and come to realistic appraisals. Ideally ,the computer would not be biased and have no conflict of interests; fairness would be programmed in and where all procedures and safeguards are not followed, where SW assessments are irrational etc. it would be spotted automatically and the no-order principle implemented. Likewise, if court orders are flouted or statements and reports lodged late. Were the Children Act focused on and power limited to family preservation and support only there would be no real problem with the use of computers. I anticipate this is where the future lies. Cases will use templates just as they do now and lawyers will merely have to click on a mouse once or twice to access a ready-made case. The predications will all be done for them if they enter the name, address ,post-code and a few details of the family. When the system becomes reality, it will be essential that strict controls are in place and followed scrupulously and I suggest a limit placed on sanctions issued by the family court as above. CaseLines is used daily for Children’s Act cases in the Family Courts, including applications for child protection orders. The service allows secure sharing of sensitive data between care professionals including care workers and health experts. For any readers interested here is another link worth looking at.